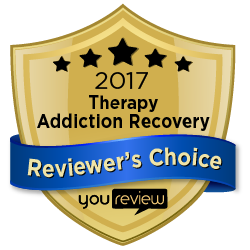 Each participant will have an initial evaluation and assessment for the development of a custom approach for their recovery and healing. Self-identification of the destructive and limiting behavior will be address allowing a conscious grasp on the addictive persons present physical, mental and spiritual functioning. Progression and depth of these destructive behaviors will be evaluated and challenged to expose the mismatches between “Personal Values” and Behavior. Upon this progression into the Core Individual, the beginning stages of healing and recovery. At this point Self-Discovery and “who am I” will manifest and begin to take shape. Self-Discovery will then influence the restructuring and changing of the addicted individual’s once held, Self-Limiting Beliefs. Phase Ones emphasis is towards acknowledging gratitude, recognizing desire, understanding hope, engaging in honesty and taking control of choice. During phase two, emphasis will be placed on making healthy choices & applying the action to make healthy choices. This will construct a constant and positive change. Becoming consciously competent with healthy choices and applying the action to achieve a positive change will inevitably instill and reinforce fulfillment and integrity. Self-Discovery and positive Self-Affirmation to propel the addicted individual’s newly found belief structure. With this newly found belief structure the addict will then be challenged with triggers that are typically avoided when in a traditional residential or in-patient treatment program. Due to the individuals conscious recognition of self, choice and belief structures trigger-stoppers will now be on the surface in order for the individual to maintain their new feeling of empowerment, belief and confidence. I founded a personalized addiction program called Real Life Recovery in July of 2007 and I genuinely care about every single person who walks through my door. Before our first session, please take a moment to print and complete the Intake and Admissions form.